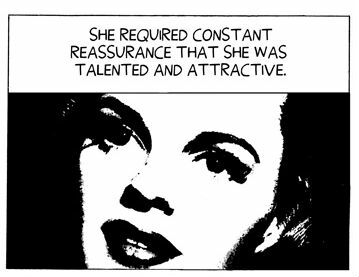 A terrific visual chronicle (it’s a comic) of various celebrities. Apparently this was a novel style for the author, Darryl Cunningham, but it doesn’t show. The illustrations complement the material perfectly. Powerful stuff. Recommended. People with Mental Illness Enhance Our Lives.